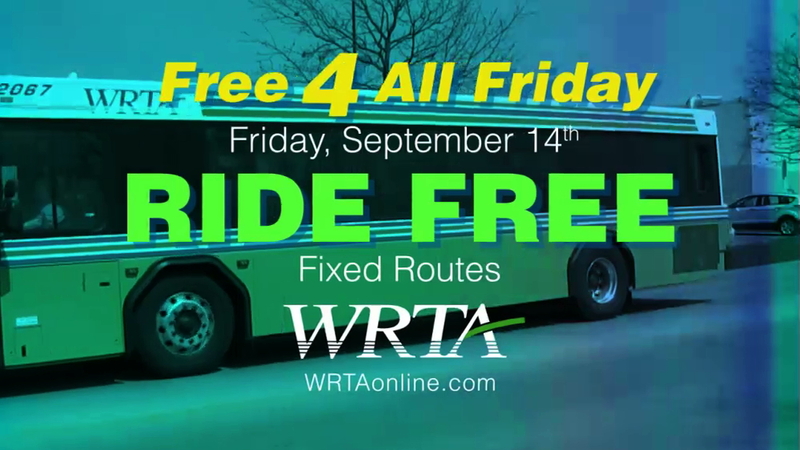 Free-4-All Friday: Ride Free on All Fixed Route Buses Sept. 14! Morning, afternoon and Nightline, you can ride any WRTA Fixed Route bus as many times as you want for no charge. It’s our way of saying “Thank You” to our loyal riders, and also a way for those who’ve never used the WRTA system before to find out just how easy and convenient it is. Remember, all Fixed Route buses are FREE on Friday, September 14! 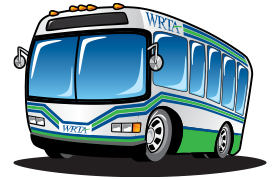 Please note that this promotion does not apply to WRTA ADA All-Access or Countywide Service.